Time Investment: Only 2 mins to read. Are you looking for a strategy that will increase your chances of generating profits? Read along! 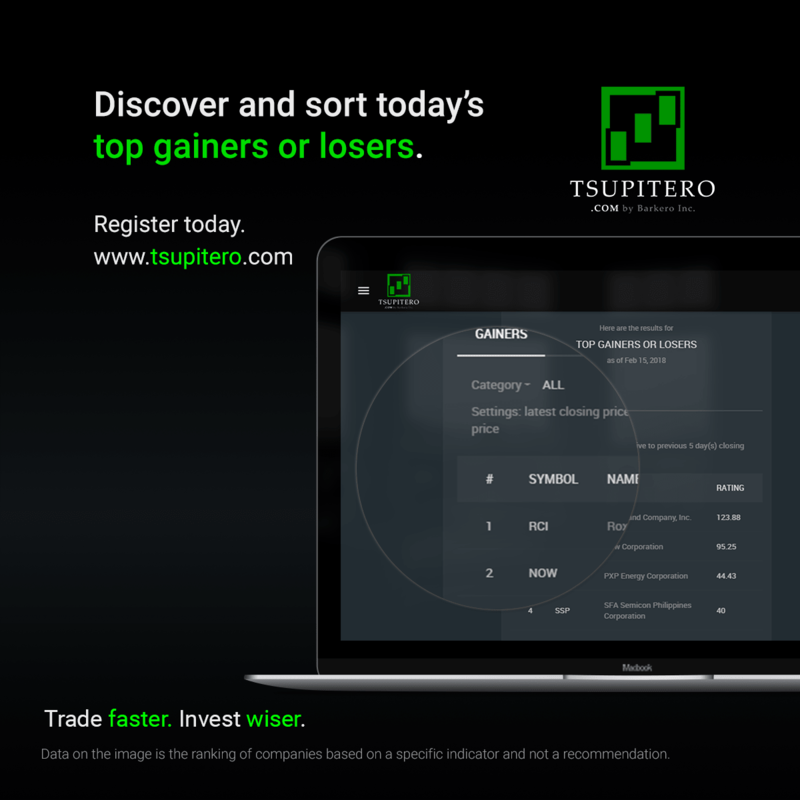 In this tsupitero blog, we will define and discuss how to use Top Gainers or Losers in creating choices for you. Every trading day, the price of a company traded on Philippine Stock Exchange will either go up, down or remains the same. The price of a company that goes up will register a gain, and register a loss if it goes down. Top Gainers are simply the companies that registered the biggest gain while Top Losers are simply the companies that registered the biggest loss. The formula for calculating the gain or loss of a company is below. There are investors/traders who look for top performing companies with biggest gains, they believe that these companies that performed big today will sustain and perform okay again tomorrow. While there are also some that looks for opportunity in the worst performing companies. Depending on your strategy and trading criteria, you can either look for top gainers or losers. Top Gainers and Losers for the day can easily be found on several websites. 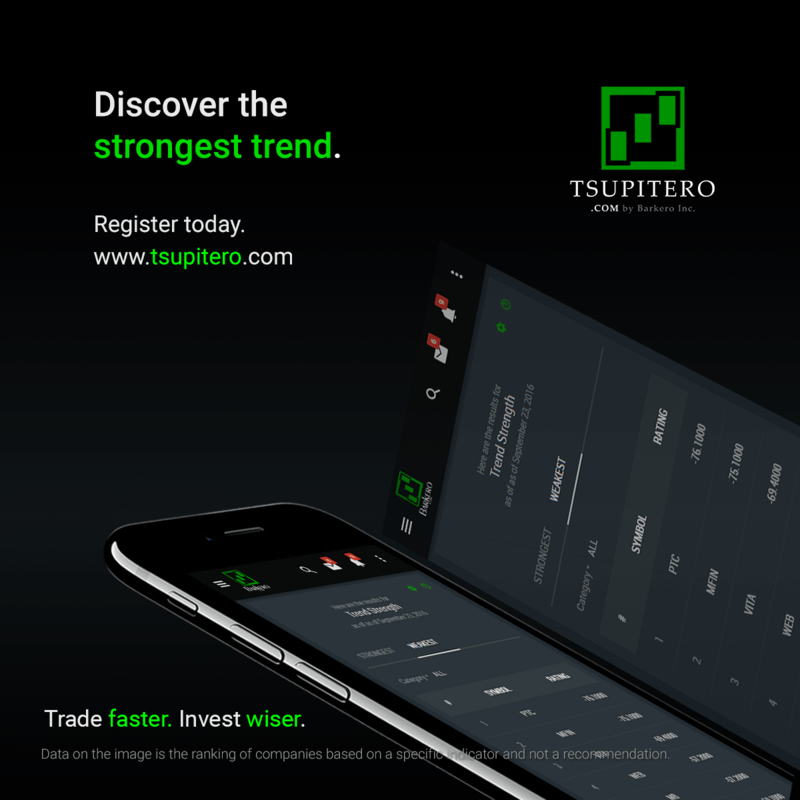 However, in Tsupitero.com, we took it up to a notch higher, by giving you the capability to see the list of top gainers and losers not only by all listed companies but also by category. Would you like to see the top gainers in property sector? Or perhaps in the financial sector? Or you might be interested in the mining sector? In whatever category you want, it’s always your choice. Top Gainers and Losers that you can find in other websites use the latest closing price compared with yesterday closing price. In Tsupitero Premium Feature of Top Gainers or Losers, you can use the latest closing price compared with 2nd, 3rd, 4th, 5th, or 6th-day closing price, or depending on how many days you want. Do you have any suggestions in your mind? Comment below! There are many benefits of a premium user, be sure to read other blogs to learn more. Register Today!